It was -7 ℃ on touchdown. Helsinki was covered in snow. 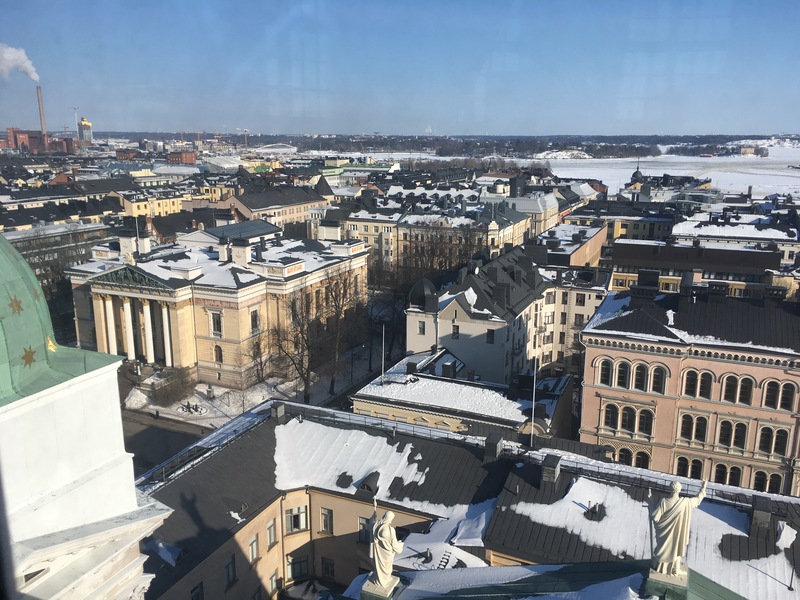 Our host was to be Antti Mustakallio, a regular at European Speechwriter Network conferences, and the only person in Finland who advertises his services as a freelance speechwriter. On the first day we had a tour of the House of the Estates, the proposed venue for the conference. This grand Neo-Renaissance building is run by the Prime Minister’s office. We toured the conference rooms and saw a big hall where we’ll have our lunch and coffees and teas. 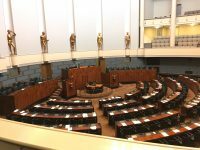 We were able to book the House of the Estates thanks to the Finnish Literary Society. We then walked a 100 metres to see the Finnish Literary Society building and meet its Communications Director, Ms Sirkka-Liisa Mettomäki. There, we were allowed to view of copies of the Kalevala – the Finnish epic poem. Antti Mustakallio sang some of the stanzas for us in Finnish. Later we got to visit the new seaside sauna, Löyly. One of the delegation jumped in the frozen sea to cool off. On the second day we were given a tour of the Empire Hall. 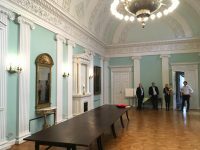 This is where the Mayor of Helsinki will host a reception for the speechwriters after the first day of the conference on 11 October. The room was very grand and we met a representative of the City’s Communications department. Next we went for a tour of the Finnish Parliament hosted by Mr Timo Turja, a special advisor to the Speaker of the Parliament. It’s a very impressive building, which managed to be cosy and austere. We had lunch with Mr Turja and talked speechwriting. Thank you to Ms Mettomäki, Mr Turja, the staff of Helsinki City Hall and Antti Mustakallio for being such gracious hosts. 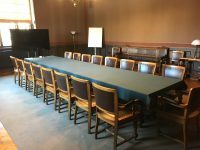 The plans for the Helsinki Speechwriters’ & Business Communicators’ Conference 2018 are now fixed. 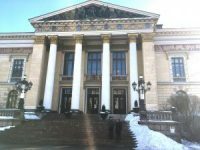 Our conference will be at the House of the Estates in Helsinki on 11 & 12 October 2018. We’re hoping the weather will be a lot more clement! Tickets will be available soon.